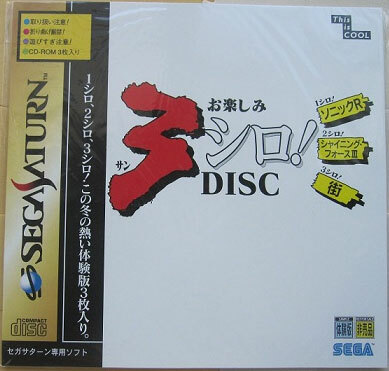 A collection of three demo disks in a giant card sleeve making it quite desirable to the Saturn collectors and completists. 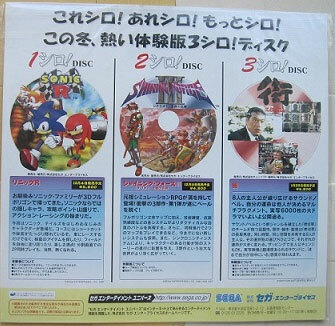 The three disks are demo versions of Sonic R, Shining Force III Scenario 1 and Machi. Nice inlay too advertising future releases. Second hand. Slight curve on one corner of 12" style sleeve with a couple of very minor impressions on it.